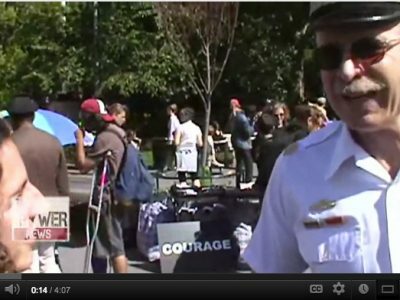 Occupy’s ‘Shut Down the Corporations’ Action: Success or Failure? The Occupy movement’s national day of action — “Shut Down the Corporations” — is a difficult action to assess. Was the action a success or a failure? The first question that needs to be answered is, what were the action’s goals? Many of the activists who performed civil disobedience during the day likely acted with educational motives, as many of the actions were preformed to either expose corporate gerrymandering of the political process or other unethical business practices. For example, McDonald’s was a target due to its connection with mega-corporation Monsanto. It was obvious that the direct actions performed could only “shut down” the corporations for a brief period of time, if at all. If the action was intended only to be educational, then it surely succeeded, since numerous news outlets had to explain to the public the main target of the actions: ALEC, a group of corporations that work together to buy off politicians so that pro-corporate laws can be passed and anti-1% laws can be defeated. However, if the goal of the day of action was to build power towards winning concrete victories for working people, Shut Down the Corporations must be viewed with greater scrutiny. Although education is a crucial component in any social movement, it must be incorporated into a larger strategy of building power among the 99%. This creates an easy barometer to assess Occupy or labor movement actions: does the action build power or not? But how does one define “building power?” In this writer’s opinion, building power means engaging wider layers of working people in struggle towards common goals, either in united defense against a corporate or government attack, for example Save Social Security and Medicare, etc., or a united front struggling towards a common, unrealized demand: Jobs Now! or Health Care For All, etc. Bringing in broader layers of working people is crucially important because, without it, the movement is not strong enough to achieve anything of substance; it’s impossible to shut down the corporations with 1,000 people. Engaging these broader layers of people in a concrete struggle is crucially important because a real struggle creates solidarity among participants, gives strong meaning to the movement, is a beacon for those who relate to the struggle and thus pulls them into the fight, and clearly defines the goals of the movement, while also defining the movement’s enemies and allies. Occupy is lacking many of these crucial elements, which could eventually undermine the whole movement, possibly soon. For example, many Occupy activists see themselves — and the action Shut Down the Corporations — as part of a very meaningful struggle, but the broader 99% do not understand this struggle, or at least do not connect this struggle of Occupy to their own personal situation. Take for instance the Occupy activists who protested McDonald’s relationship with Monsanto: this was excellent educational, or propagandistic, activism, but working people will not be pulled into joining the movement, via agitation, by such tactics. Even the working people who were eating at McDonald’s during the protest are unlikely to be radicalized by learning about Monsanto. This is because Monsanto doesn’t directly relate to their lives, meaning that even though they happened to be eating at McDonald’s, the average working class person has more serious priorities than French fries: finding a job, keeping their job, finding a living wage job, paying their rent, health care, education, day care, gas and bus prices, etc. 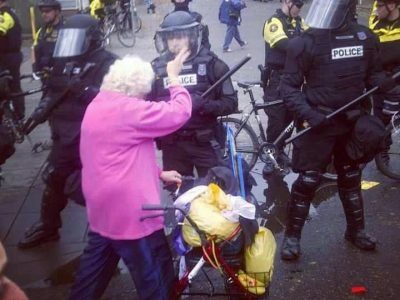 This is where Occupy has fallen painfully short. Nearly all of the factions within Occupy — and there are factions — ignore the fundamental issues that actually have the potential to mobilize the 99% in a serious struggle. Instead, these groups substitute their more-radical goals in place of the issues that directly affect working people — the only issues that can possibly bring working people into the Occupy movement and radicalize them into action. This dynamic directly affects every aspect of Occupy. For example, most Occupiers are in favor of non-violent direct action, or civil disobedience. However, civil disobedience is only truly effective as a tactic when it is mass civil disobedience, as was practiced by Dr. Martin Luther King, Jr. and Gandhi, which emphasizes the above strategic point: Dr. King and Gandhi fought over issues that directly affected the lives of masses of people — segregation in the U.S. South and against direct foreign oppression for India. Occupy has yet to give its focus to similar issues that can arouse the broader population. In order to survive as a movement Occupy must move beyond symbolism and education to building power. Clear demands that reflect what most working people view as their most important issues must be put forth so that the 99% can directly relate to them and thus be drawn into struggle. Without fresh adherents the Occupy movement will inevitably stagnate and die, since a movement incapable of actually achieving anything ceases to move. The few who do participate will begin to feel isolated and powerless. Social movements are easily squandered if the energy is not funneled into a powerful social force. Without direction and meaning the energy of any social movement can dissipate into the air unused. Without demands that clearly represent the majority’s most pressing issues of concern, most people will not be willing to fight, and thus no victories can be won. 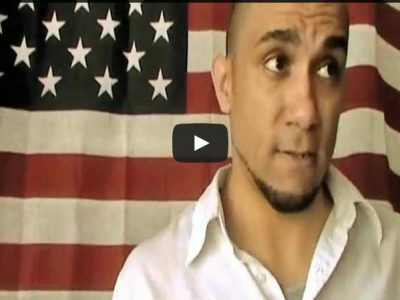 Occupy must put forth a strategic path to gaining power. Merely disrupting a few minutes of business of a corporation will not suffice. In Portland, Oregon, where Shut Down the Corporations idea was born and where the most organizing took place in preparation, only 1,000 people appeared at the main march and rally. Thus, the stated goal of the protest “shut down the corporations” likely appeared to many as a media stunt. Therefore, the action, Shut Down the Corporations, cannot be a blueprint for future organizing in the Occupy movement. A path to the wider 99% must be found fast before Occupy activists become demoralized by their dwindling relevance. Occupy has amazing potential in its ability to coordinate actions across a vast country, but the only way to draw in the broader working class is to listen to their issues and fight to achieve their goals. Any other path unnecessarily wastes precious movement fuel. Aside from an overambitious stated goal, the action was a success. 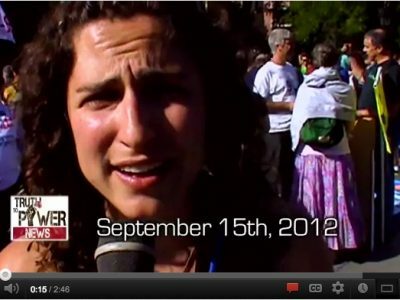 Local teevee news was excellent, thanks to PDX media folks who provided stations with clear reasons for the event: exposing ALEC. The public was thus educated. The internet is full of long winded concern trolls with political advice and dire warnings. 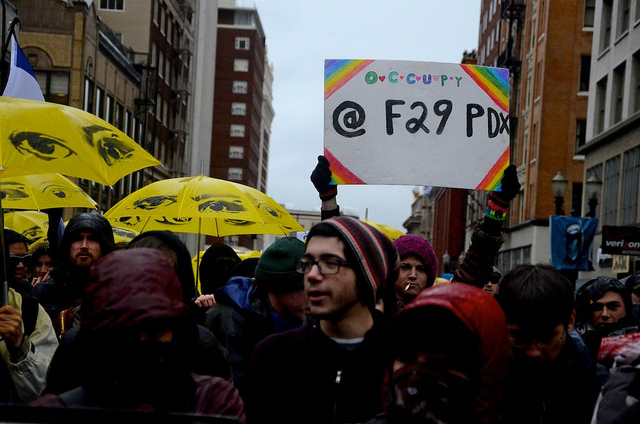 But the spirit is alive, individuals are empowered, and if demonstrations can be planned for weeks, not hours, publicized and coordinated as well as #F29 was, our successes will continue. Given the depth of corruption with which we are dealing at levels of government and society, I’m not sure how a political struggle can succeed. The only things I feel confident about is what can be done on the local level in growing food, learning homesteading skills, transitioning to a car-free life, and community educating. Shamus gets it right again. I think we have very similar concerns and criticisms about OP’s effectiveness. If you view F29 through a tube, so to speak, it looks successful. People showed up and marched, other people on the street saw and heard them. All went more or less according to plan. But take the tube away, and what do you have? The march had about 500 people at its peak, and some scattered observers watching from windows and sidewalks (yes, I was there, and the Oregonian can’t count) – a pitiful fraction of the public support the October 2011 match had, and a drop in the ocean of the Portland metro population. In other words, almost everybody in Portland DIDN’T attend this march. And yes, it happened on a weekday during normal business hours – but if you can’t get people to skip work for this, what makes you think they’re going to join the planned general strike? This is not what a mass movement looks like, and anyone who thinks Occupy is one or is going to somehow become one at this rate is lying to themselves – and no amount of calling me a “concern troll” or anything else changes that. ALEC is only a symptom of a much greater problem, anyway. Anyone could write crooked laws and give them to legislators to pass; what allows ALEC to do so and actually get results is the massive amount of corporate wealth and influence being poured into Congress through back-door deals and campaign contributions that should be disclosed (if not made illegal), and the willingness of our morally bereft legislators to pass such laws. Let me give you an example. Everyone reading this probably knows about the NDAA’s blatant Constitutional violations. AFAIK ALEC had no hand in crafting that bill – but I ask you this, why do any of the people who voted it in still have their jobs? Why weren’t they recalled immediately? Why is Obama still President after he deliberately broke his oath to defend and uphold the Constitution? All of those people should be fired – and probably sued, as well. But nothing bad ever happens to politicians who betray their constituents except MAYBE they don’t get voted in next time – so instead they take a cushy job “consulting” for one of their corporate masters, instead of going home in shame. So what was the point of F29? If it was to educate the public about the ways that corporations influence policymaking, to support the goal of getting money out of politics and accountability back in, that’d be a start. But if OP really thinks that “defeating ALEC” was a worthwhile goal by itself, then the march was a strategic failure before it began. First off, to OP: Thank you for writing the concerns I had already. 1) What is our goal with this event? 2) How do we define success at that goal? 3) What are we doing to bring more people in? In this, I feel that F29 was a lot of sound and fury, but ultimately doing nothing. If we are anti-ALEC, then what was the stop-over at McDonald’s and the Monsanto decry? What about the Occu-clowns, how were they related to ALEC? What was the point of this march? Did we make a gesture, symbolic or otherwise? Did we have an affect on ALEC-supporting businesses? Did we improve Occupy’s message or make more people turn away? Frankly, a ‘yet another’ march is not doing it. If we want Occupy to have any relevance, we need some strategy. We need a message with an event, and people need to stay on message during that event. We are fading day after day, people. Unless we shape up, Occupy is going to be another activist group meeting in basements, doing nothing except congratulating ourselves.